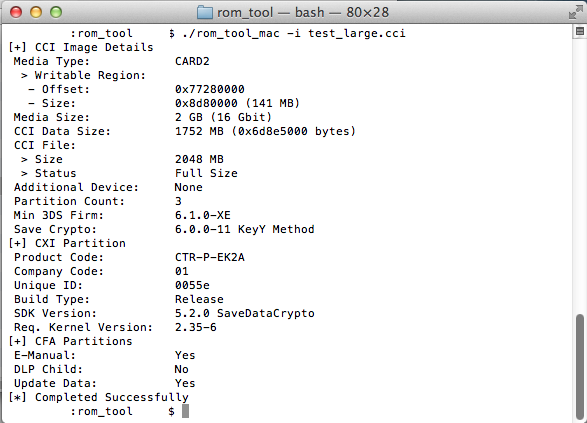 'rom_tool' is a command line tool designed to check/manipulate CTR Cartridge Image (CCI) files, usually referred to in the 3DS Scene as "3DS ROM dumps". Its major use is to reduce the size of CCI files (trimming) by removing dummy bytes(and being able to restore them again). Trimmed CCI files are compatible with the Gateway 3DS flash cart, and associated clones. * Changed terminology, "CCI" has been used in place of "ROM"
* CCI information has been changed. 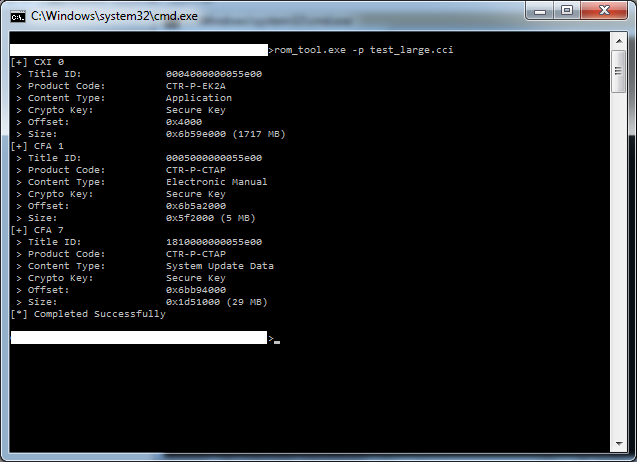 * Detects required kernel (NATIVE_FIRM) version accurately. 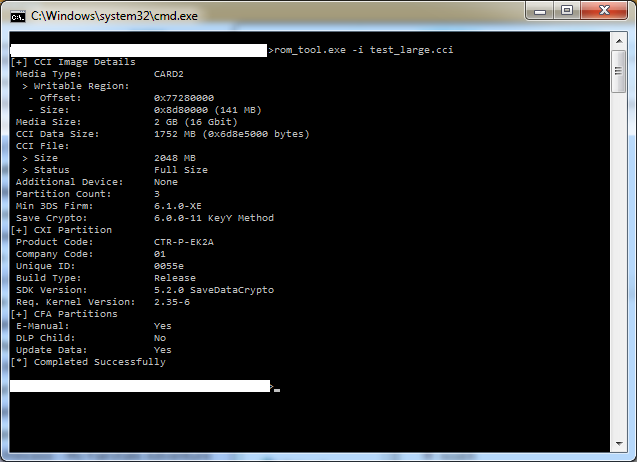 * Detects encryption key used for each partition. 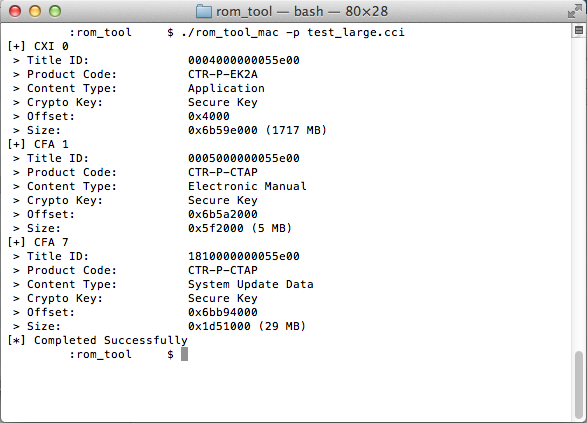 3DS ROM Tool 3.1 NEWEST!